For those who prefer an aromatic medicated masque. 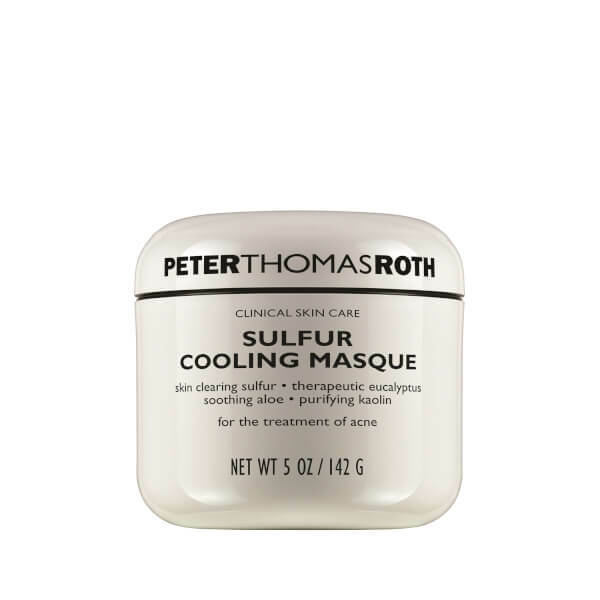 This exfoliating treatment contains Eucalyptus, Sulfur and Purified Clay. Exfoliates dead skin cells and soothes inflamed acne. Cleanses oily, T-zone and clogged pores. Dries and clears blemishes and helps prevent their return. Sulfur dries and clears blemishes. Eucalyptus Oil, an antibacterial, prevents future breakouts. Aloe Vera soothes and hydrates the skin. Active Ingredient: Precipitated Sulfur U.S.P. 10%. Other Ingredients: Purified Water, Bentonite, Kaolin, Propylene Glycol, Glycerin, Aloe Vera, Zinc Oxide, Eucalptus Oil, Polysorbate-20, Titanium Dioxide, Diazolidinyl Urea, Methylparaben, Carbomer 940, Sodium Hydroxide, Propylparaben.